The Tax Law of Associations summarizes the law concerning acquisition and maintenance of associations' tax exemption. It explores various other bodies of tax law applicable to exempt associations, including the private inurement doctrine, the intermediate sanctions rules, the lobbying rules, and the unrelated business restrictions. Coverage also includes: the political activities rules, including the use of political action committees by associations; associations' use of for-profit subsidiaries; supporting organizations; involvement in partnerships and other joint ventures; as well as charitable giving and fundraising rules. BRUCE R. HOPKINS is the country's leading authority on the law of tax-exempt organizations and a senior partner with the firm Polsinelli Shughart. 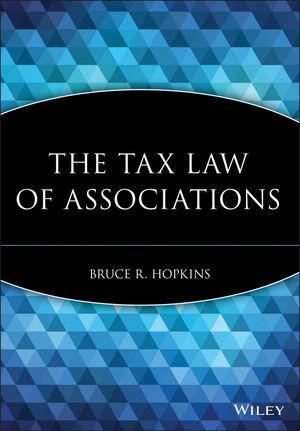 He is the author or coauthor of twenty-five books, including The Law of Tax-Exempt Organizations, Ninth Edition and the newsletter Bruce R. Hopkins' Nonprofit Counsel, all published by Wiley.